Vanns Peppermint Leaves are a powerhouse flavor addition here to the bright combination of crisp, raw green cabbage and a lemon-garlic dressing. This dish is a great side for a hearty, warmly-spiced stew or tagine, cutting through thick, savory sauces with its cool flavors. The mint is refreshing and surprising, but not overpowering, and it really brings out the sweetness of the cabbage that you might have forgotten about. If you love Middle Eastern flavors, this is a great dish to have in your repertoire, as a way to quickly add a cooling vegetable side to just about any meal. 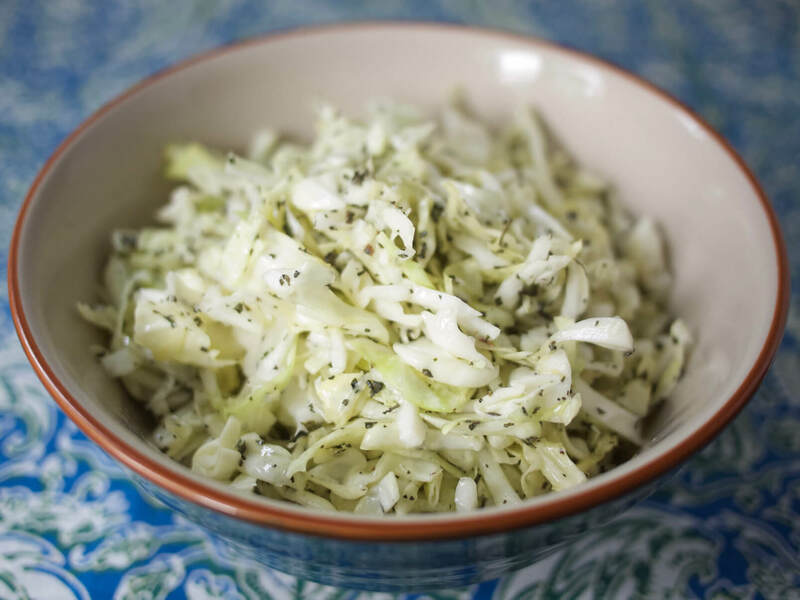 Place the cabbage in a large bowl and toss with lemon juice, mint, garlic and 1 tsp. salt. Mix and squeeze with your hands for a few minutes until cabbage starts to soften. Add 2 Tbs. olive oil and toss to coat. Cover and refrigerate for at least 2 hours before serving. Before serving taste for seasoning and add more salt as needed. Serves 4 as a side. Adapted from Bon Appetit. Have you ever had Tabbouleh? No, I’m not talking about a grain salad demurely flecked with parsley, that tastes mostly of bulgur or couscous or quinoa or whatever grain someone needed to use up.